Butter & Spice is a blog featuring low carb and keto-friendly recipes and ideas inspired from the culinary tastes around the world. Kimchi is one of those food items that you either love or you hate, there is no in between. 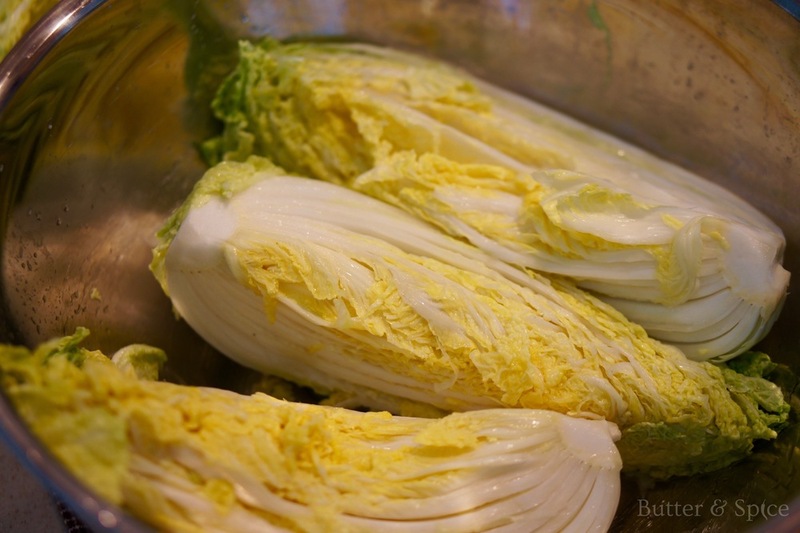 It is a pungent, fermented cabbage that tastes very similar to a spicy sauerkraut. Thus, if you love sauerkraut, you will love this low carb kimchi that is keto friendly. 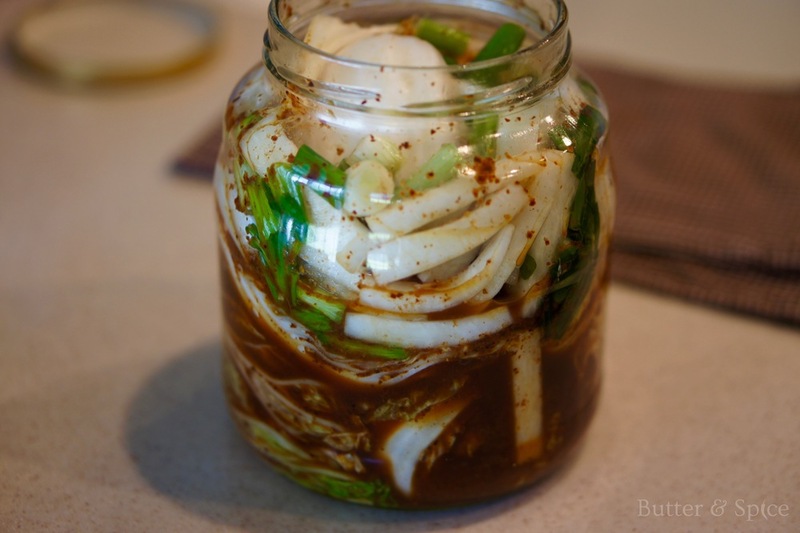 I am one the lovers' side when it comes to kimchee and once you try to make it at home and realize how easy it is, you will not spend the $9 or so per jar that it sells for in supermarkets. All you need are basic Asian ingredients and one trip to an Asian supermarket should suffice. Nowadays though these ingredients have become ubiquitous that you should be able to find them in a regular grocery store too. 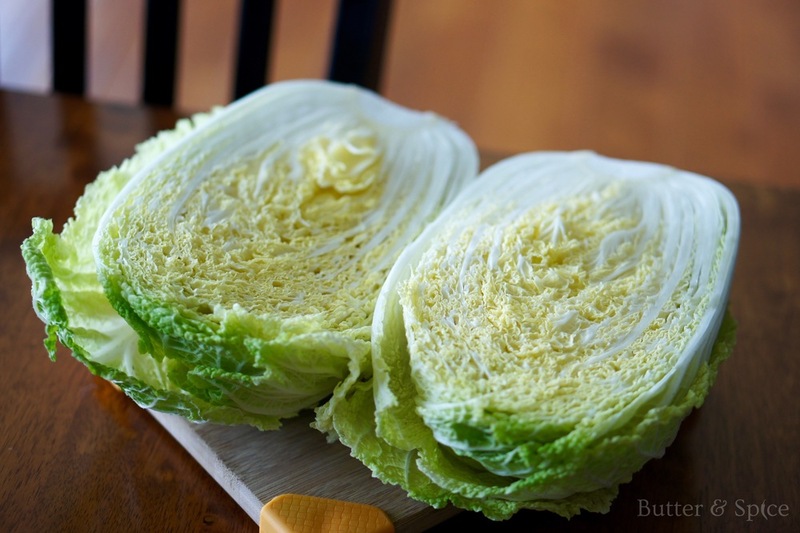 Remove the outer leaves of the Napa cabbage if they are wilted or damaged and cut the head into quarters keeping the stem still attached. 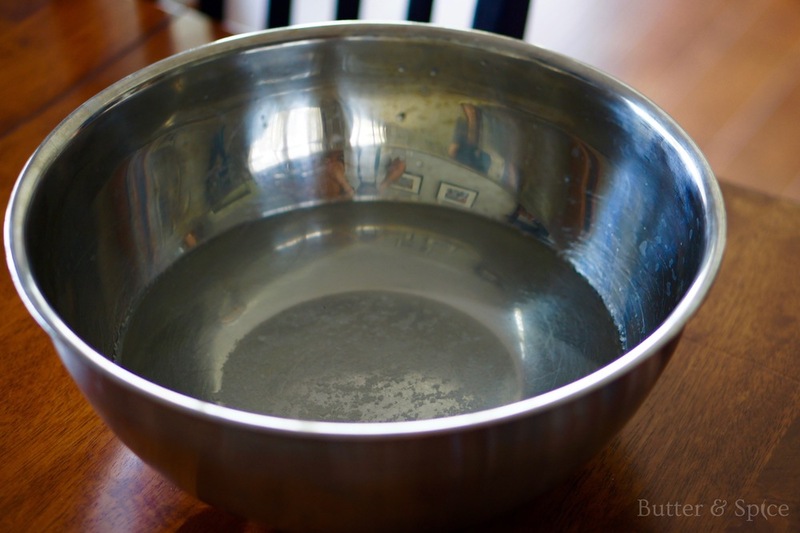 Dissolve 8 tbsp sea salt into about a quart of water and let the cabbage soak in the salty bath for about 3 hours until the leaves soften a bit. Make sure to turn the cabbage every 30 minutes or so until all the leaves are submerged. The cabbage will soften up a lot at this step. 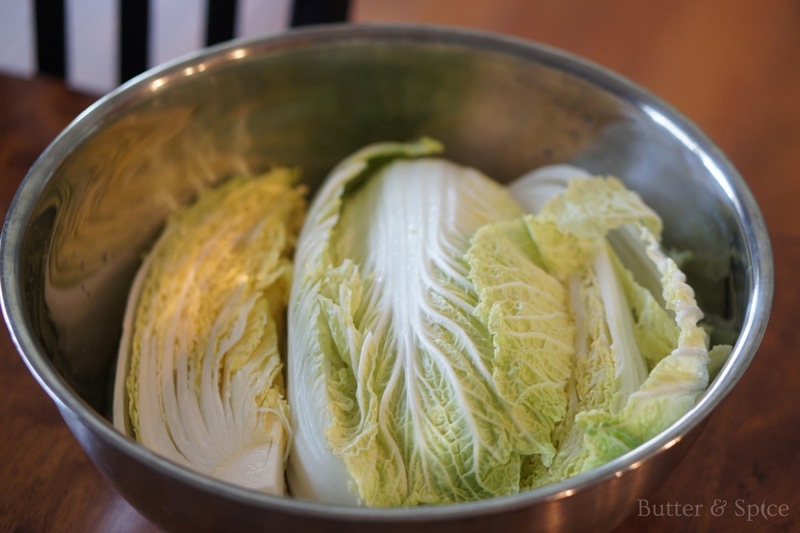 Remove the cabbage from the salty water and rinse it. In a food processor or mortar and pestle mix the other ingredients (except for daikon and green scallions) into a paste. Since this paste can be quite spicy, you might want to wear gloves for the next step. 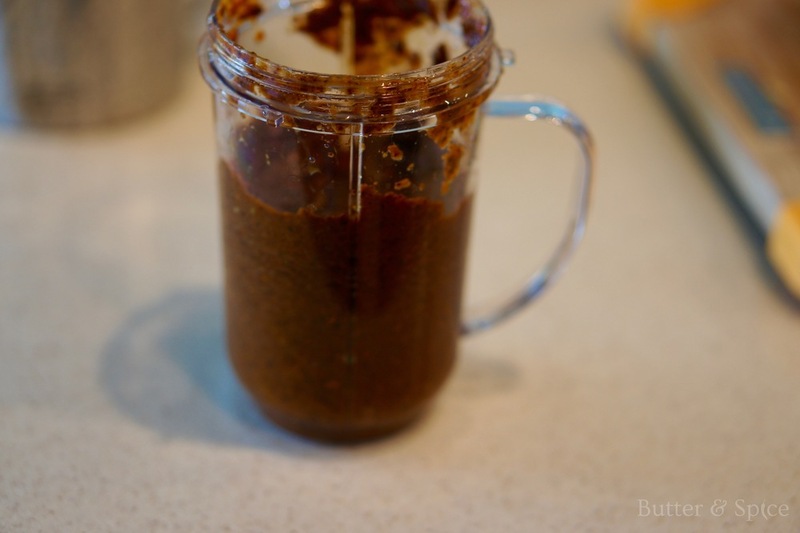 Spread spicy paste over every leaf of the cabbage and put in glass jars packing it down as much as you can. 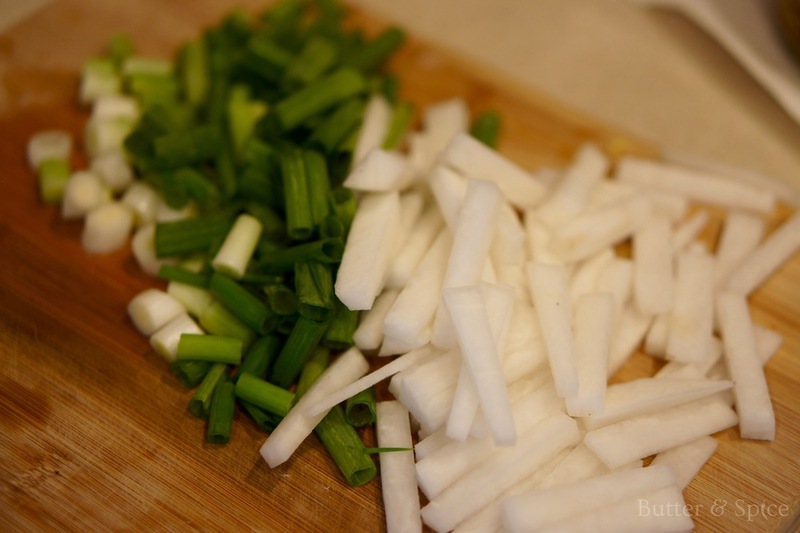 Mix the daikon and the green onions in. 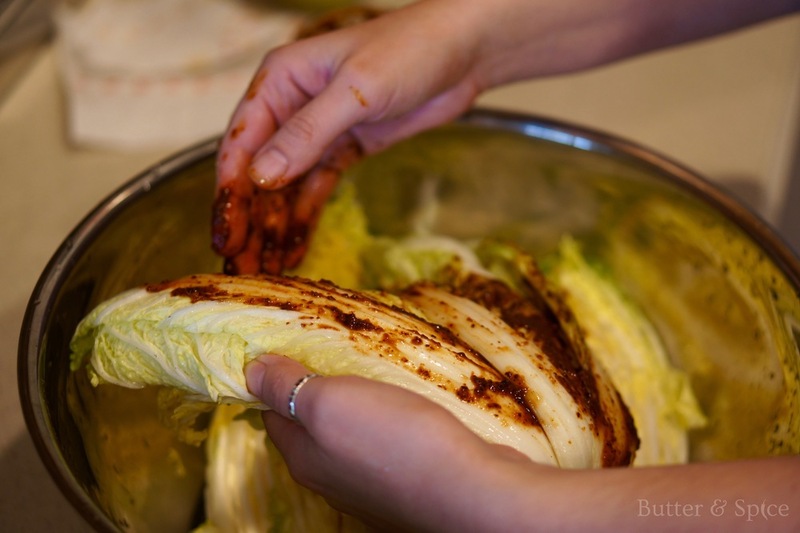 The kimchi can be eaten as is now or left to ferment at room temperature for 3-4 days. I like my kimchee more sour so I prefer to leave it for longer than 4 days - usually about 5-6 days. You will see the bubbles forming in the jar once it starts fermenting. That is good news since you want all that good bacteria.